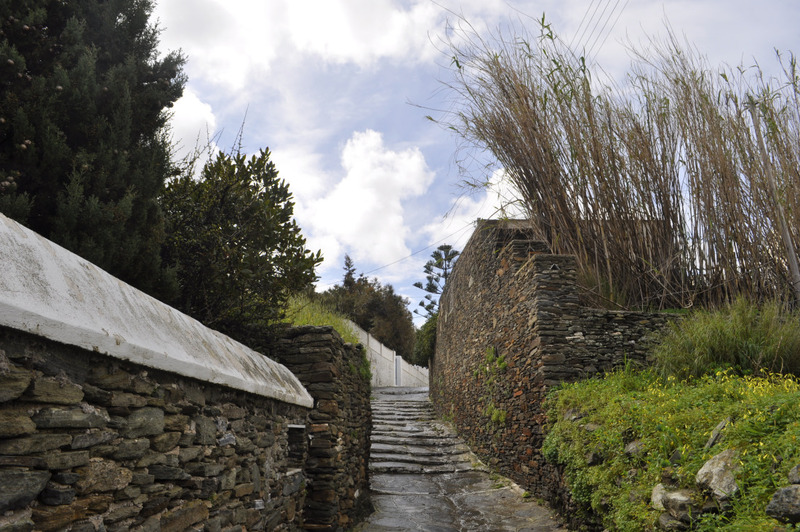 Starting in Apollonia, you will walk all along the “Steno”, the narrow, principal street of the settlement. 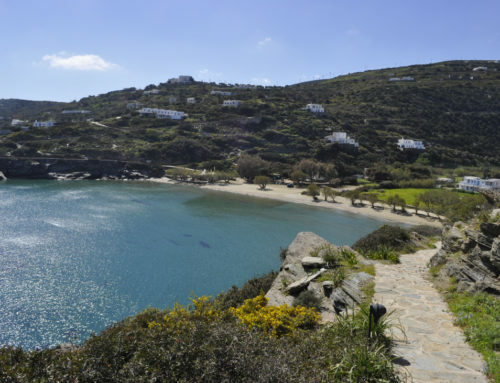 It is considered to be a cosmopolitan spot of Sifnos, full of shops, cafes and taverns. 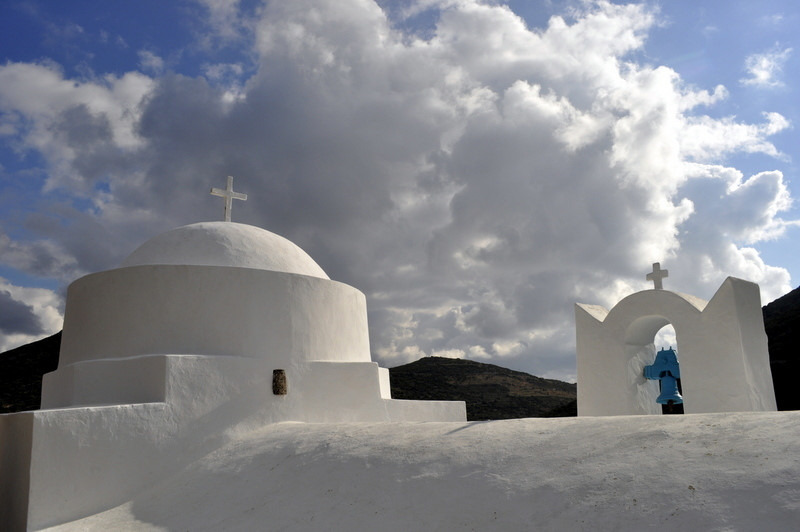 It is a pleasant walk with architectural elements to be noticed, as well as some interesting churches. 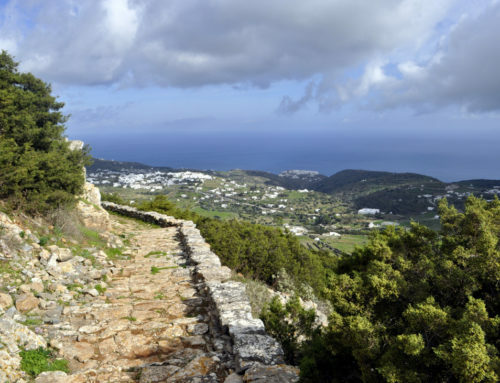 The trail will eventually lead you to Katavati, the settlement right to the south of Apollonia, where you will pass past the church of Angeloktisti (it means “built by Angels”). 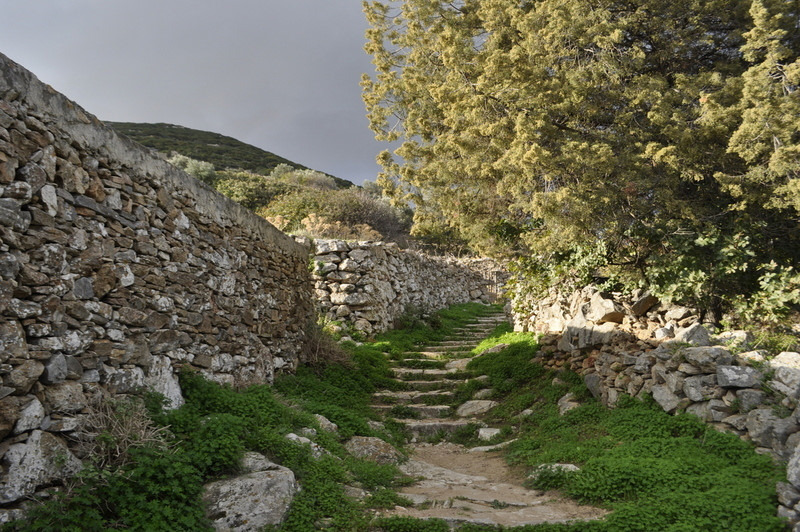 At the end of the village of Katavati, the trail crosses the main road in an area called Fyrogia (a few meters away you can find the Holy Monastery of Fyrogia). 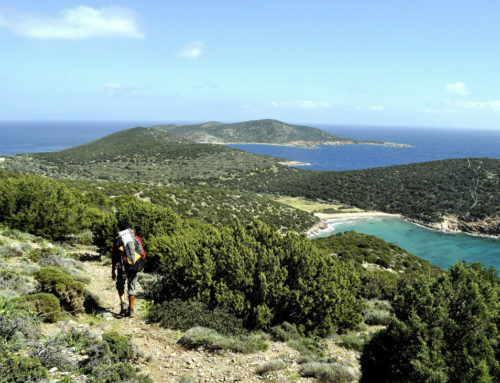 From there, a short ascent on a large path will bring you to a hidden valley called “Skafi”. Along the way, way-marks indicate a few junctions with other trails. 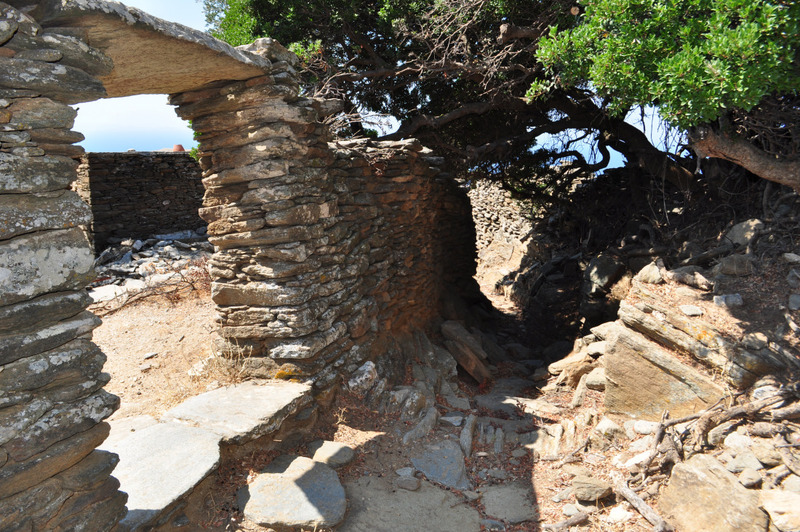 At some point, a short (60 meters) junction to the north leads to the ruined monastery of Taxiarchis Skafis. It is definitely worth a visit and it is a good place for a break. You will keep ascending till you exit the valley, right after passing by the small cave of Vougnou. 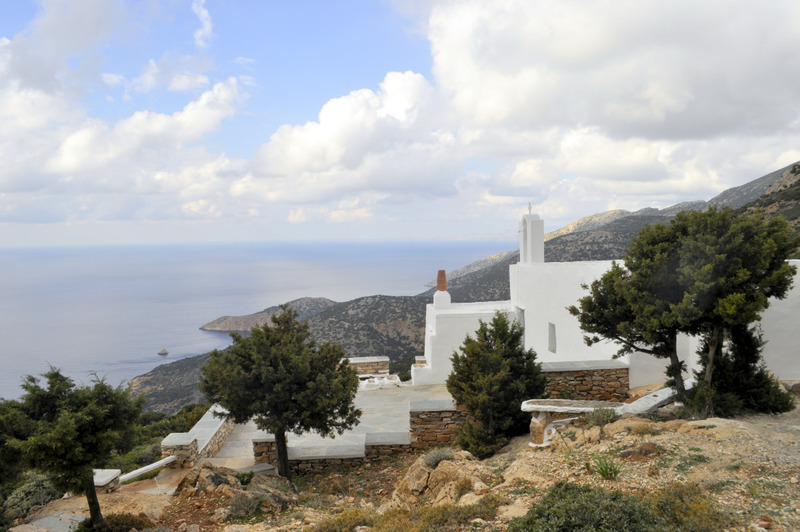 A few more meters to walk, and suddenly the view to the sea, toward Milos, Kimolos and Polyaigos islands will reward you for your efforts! 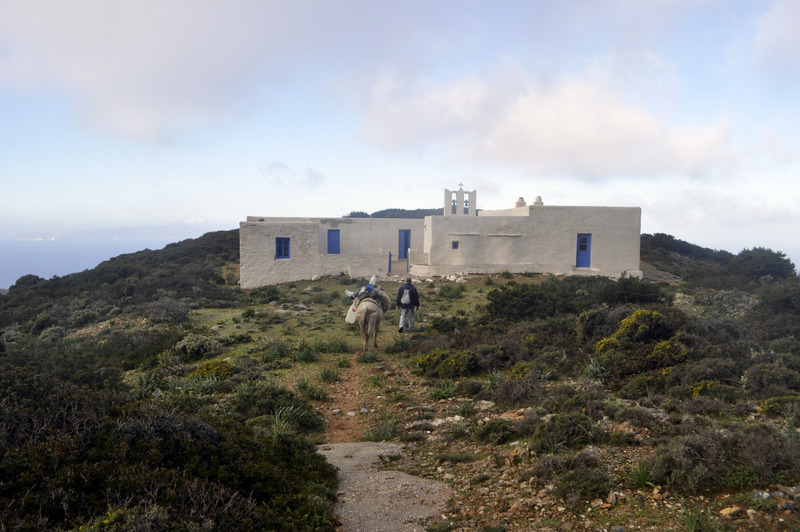 Continue on trail 5, till the beautiful church of Panagia tou Niliou, with its amazing “Aegean balcony”. This is also an ideal spot to rest. 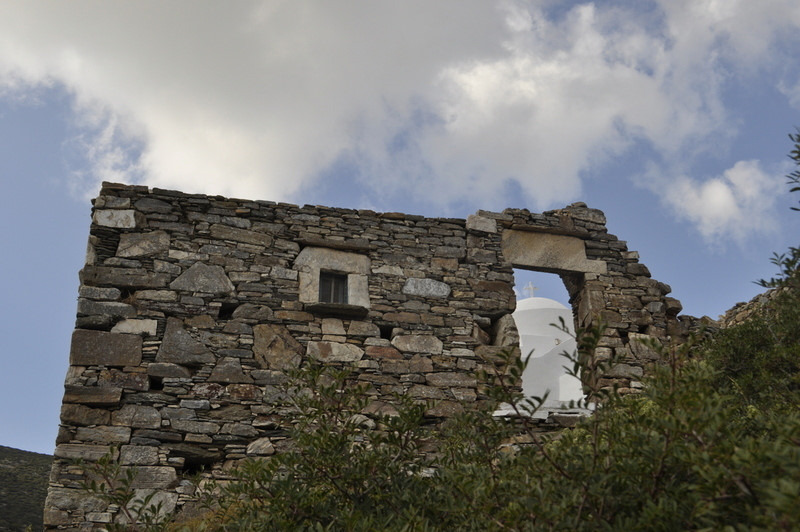 As you continue the hike, you will soon reach the wider area of Mavro Chorio (translated: “The Black Village”). You will notice old huts here and there, nice terraces with impressive gates. 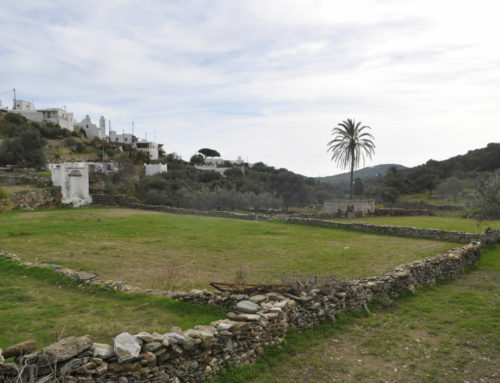 Some of the fields are still cultivated, especially the olive groves, and it is likely that you meet some locals, accompanied with donkeys or mules to carry the crops. 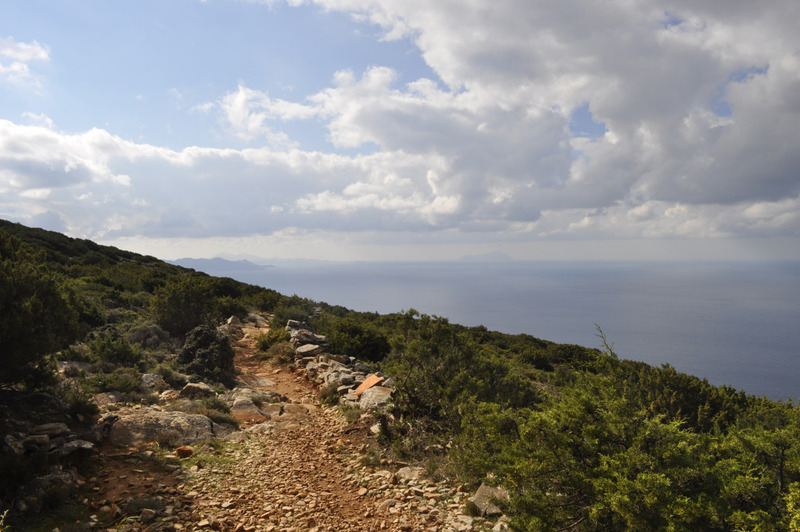 Leaving Mavro Chorio behind, the trail will pass by the spring of Kalamitsi (called Flea Kalamitsiou). 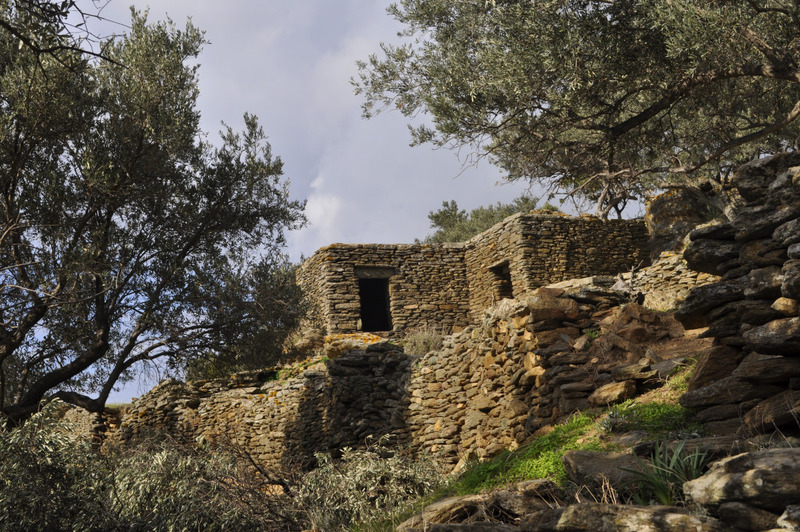 It is a small but inexhaustible source of water, that finds its way amongst huge boulders and dry stone walls. 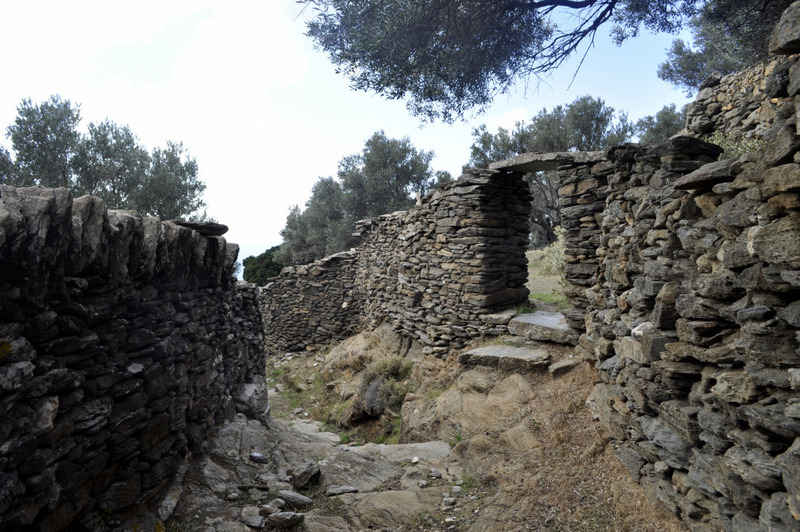 A few hundred meters from the spring, the trail passes through two huge crags, called “Froudia Baronas”. On top of the larger crag, the archaeologists have discovered a prehistorical citadel, but it is not in a state to be visited yet. 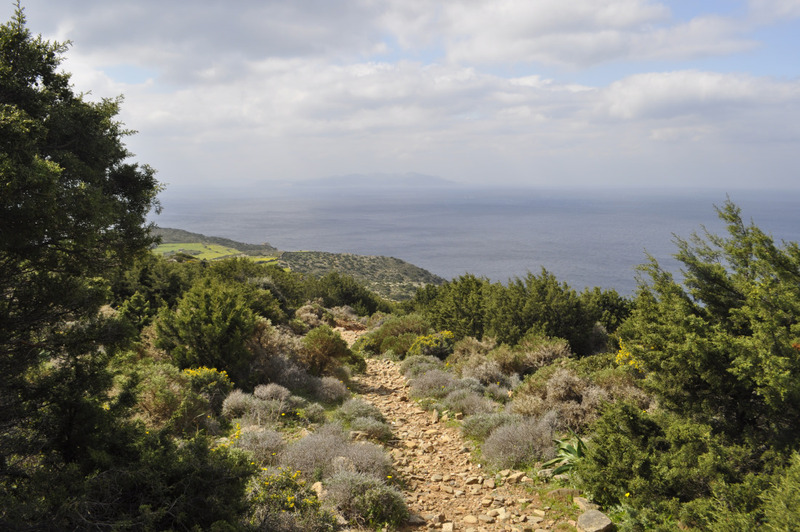 As you exit the trail between the crags, you will hit the last descent toward Vathy, enjoying the beautiful view. 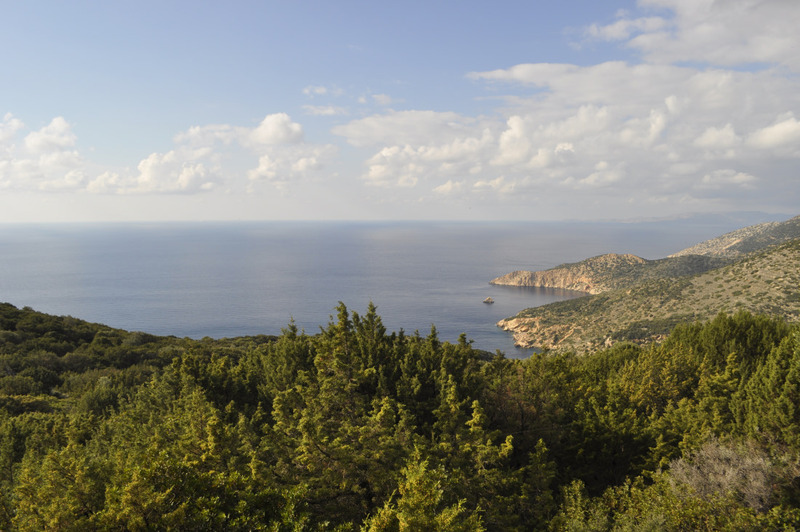 The spectacular shape of the bay will welcome you to walk faster on the last couple of hundred meters of the trail!  If you wish to walk trail 5 back and forth, you can make use of the 5A alternative for your way back, thus avoiding to walk on the exactly same trail for the whole length. 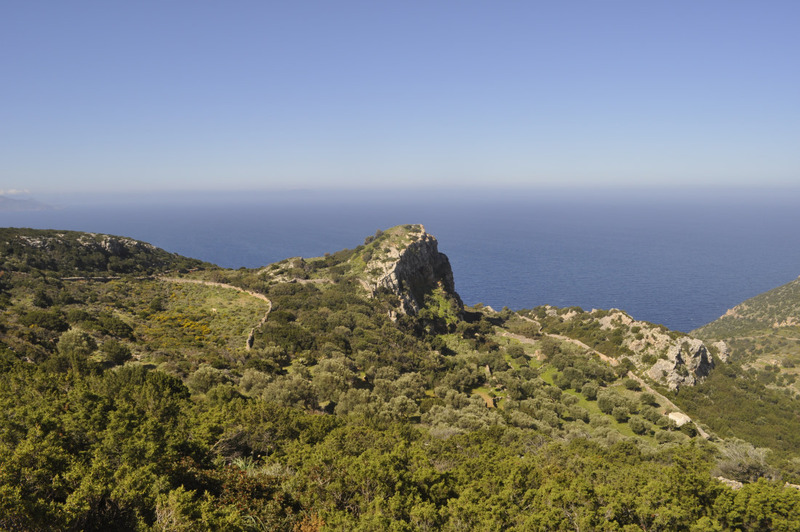 After you pass Mavro Chorio, a large junction to the East leads about a hundred meters away to the small chapel of Agios Polykarpos. The junction is not way-marked. Trail 5A is an alternative option of trail 5 (please read the description of trail 5 for details). About 200 meters after the cave of Vougnou, a signpost gives directions about trails 5 and 5A. Following trail 5A you are actually choosing the higher route. 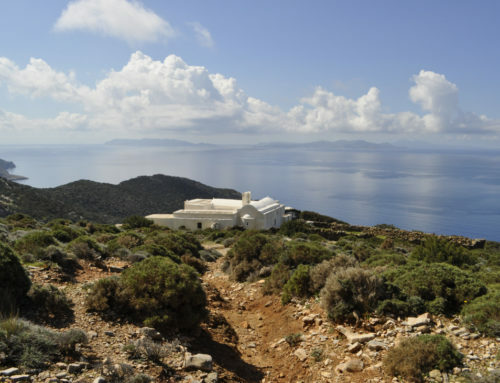 It will bring you to the upper part of the area called Mavro Chorio, where a way-marked junction gives you the option to head down to Agios Ioannis of Mavro Chorio, a small chapel with cells, or to continue on the upper route directly toward Agios Nikolaos ta Aerina church on the opposite hill. Both trails meet again a few hundred meters later, in a small forest of short junipers. 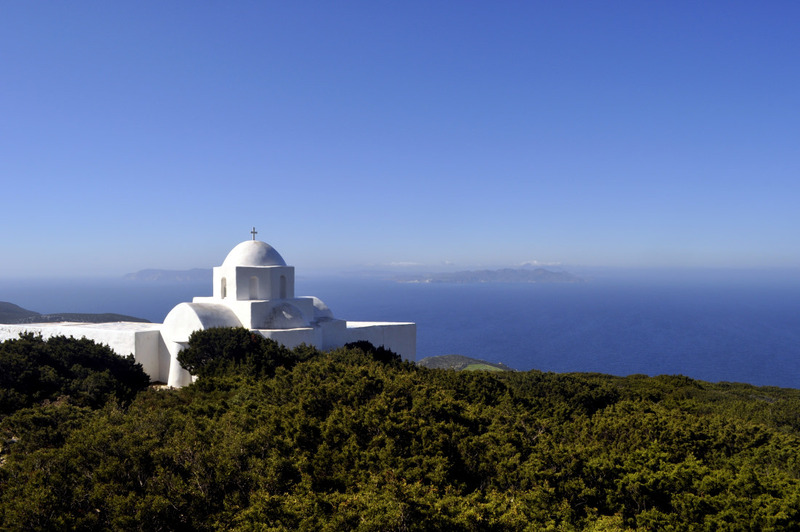 You will eventually arrive in Agios Nikolaos church, from where you can enjoy great views, and great wind! The place is called “Aerina” which means the windy! It is refreshing in summer, but can be very cold during the colder months of the year. 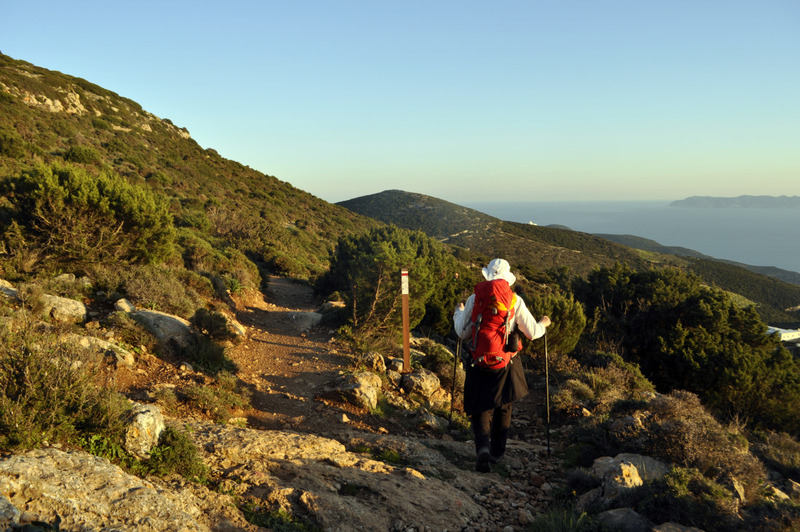 The trail continues downhill, passing over the crags called Froudia Baronas, till it meets again trail 5 that leads down to Vathy. 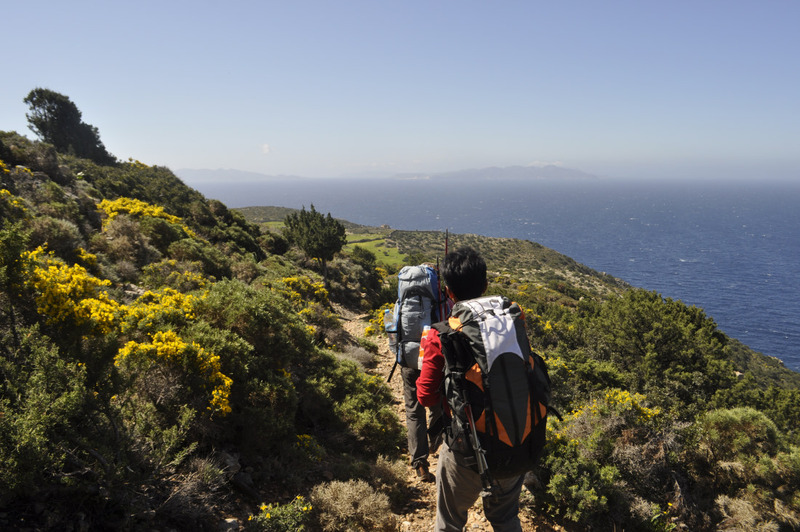 If you decide to take the junction to Agios Ioannis Mavro Chorio, and wish to continue to Agios Nikolaos Aerina, there is a way-marked trail that leads directly closer to Agios Nikolaos, so that you don’t have to walk back the same way.